Hello everyone! 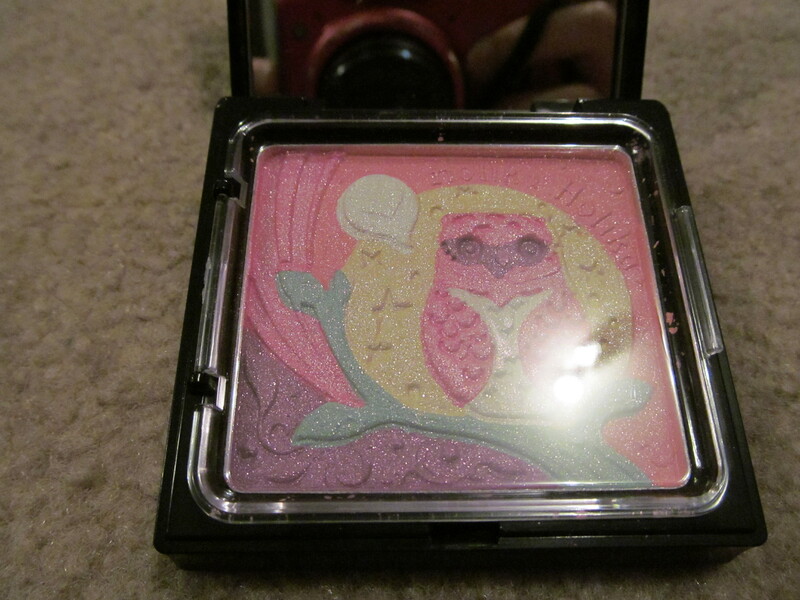 Another cute blush review today I obviously can’t have enough cute items in my makeup collection. 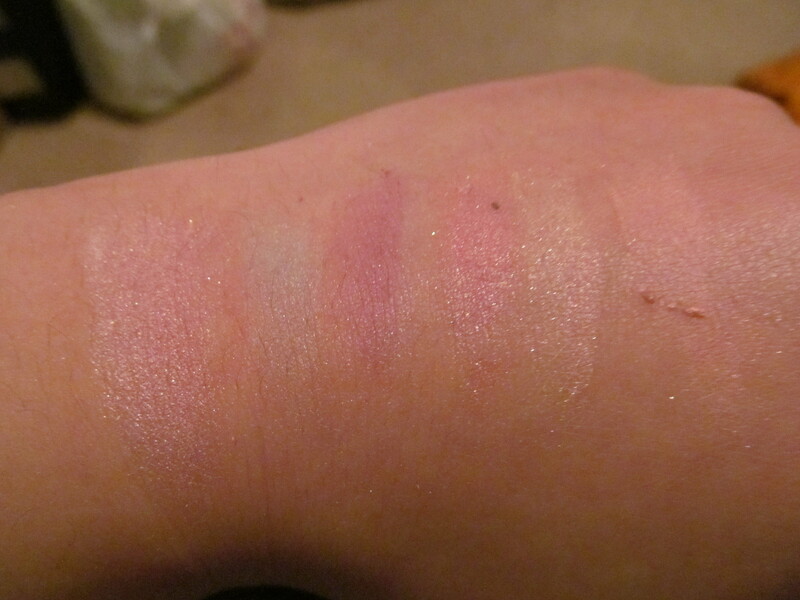 Description: A light pink highlighting blush. 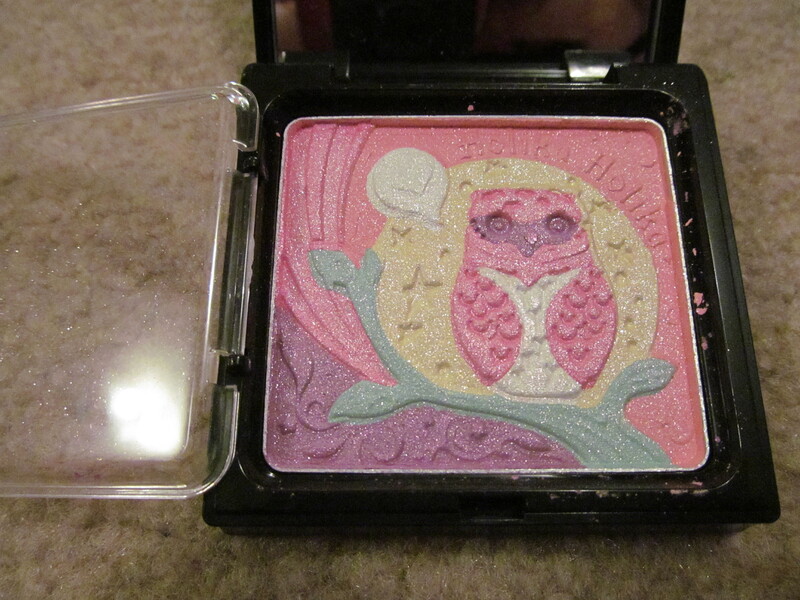 Review: Don’t you just love the design of this blush? It’s so cute I can’t stop staring at it when I actually work up the courage to use it. 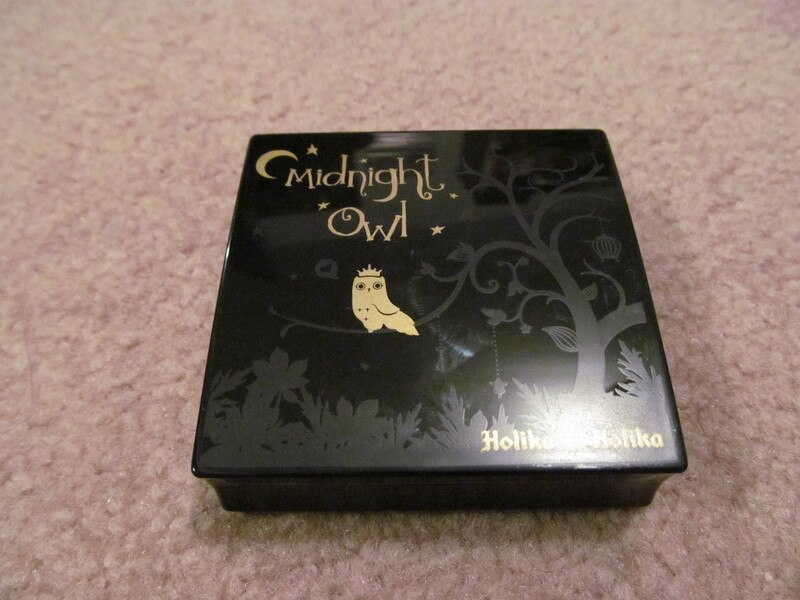 This is really really sparkly which has it’s own merit but for those who have large pores this might not be for you. As you can tell in the swatches each one of the shades is really pigmented (except for the green… I think they don’t want you to look like an alien) and the fantastic bit is that all of them are shimmery! This goes on the cheeks really well but it doesn’t stay on your cheek for very long. I find that I can blend this off my face unless I use a really sticky BB cream or foundation without setting with powder then it sticks around. Wear time really is only 4 hours, close to 5 hours if you set with a finishing mist. 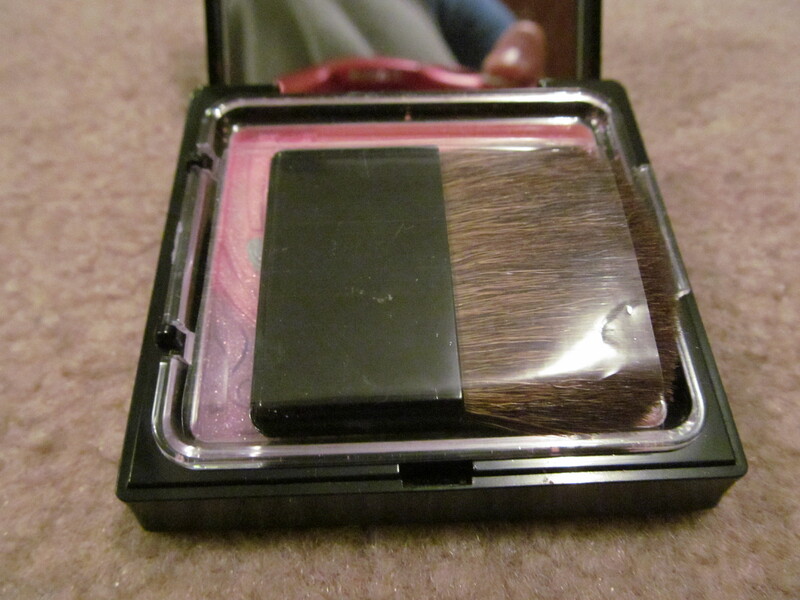 That is the sad reality of this beautiful blush it isn’t up to par for an everyday look. On the bright side it looks fantastic on the cheeks in both real life and photography. 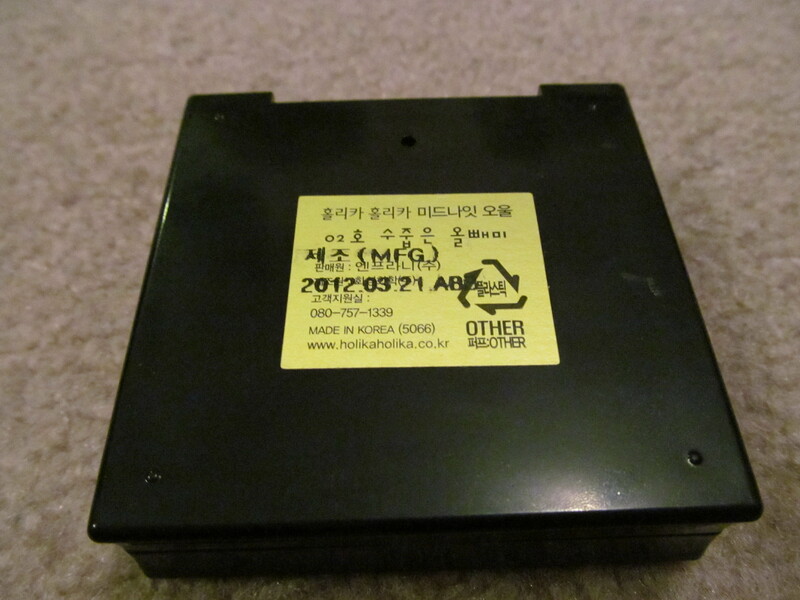 Overall, a cute blush but you shouldn’t run off to get one yourself.